Bruno Mars at the Grammys. 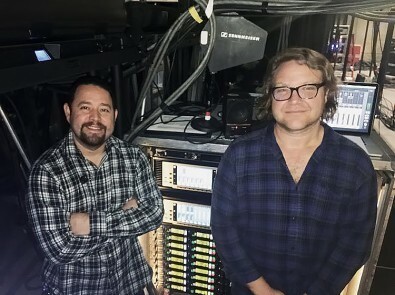 Many of the best known acts at the 59th Grammy Awards used Sennheiser’s flagship Digital 9000 wireless microphone technology during the awards broadcast. Sennheiser’s Digital 9000 system, featuring the SKM 9000 transmitter and MD 9235 microphone capsule combination, were in use at the awards ceremony. The Digital 9000 system uses uncompressed HD audio technology. One of the artists at the Grammys to use the Sennheiser system was Bruno Mars. Ramon Morales and Chris Rabold. Part of the success in preserving these details is due to the power of the SKM 9000 transmitter paired with the MD 9235 capsule. “We have experimented with many capsules over the years on his voice, but always kept coming back to the MD 5235, which has been his staple for many years,” Rabold said. “Now the MD 9235 captures everything we love about the sound of the MD 5235 while taking the detail even further.